Days Inn08442 250669work Budget HotelWith free Wi-Fi and free private parking, Days Inn Magor is situated less than half a mile from Magor town centre and 15 minutes’ drive from Newport. 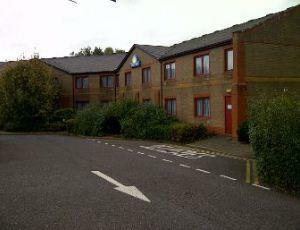 Each spacious room at Days Inn Magor features an en suite bathroom, work desk and tea/coffee making facilities. Several restaurants are adjacent to the hotel, as well as a coffee shop. A full English can be also be provided for an additional charge. With free Wi-Fi and free private parking, Days Inn Magor is situated less than half a mile from Magor town centre and 15 minutes’ drive from Newport. Cardiff and Bristol city centres are both within 20 miles of the hotel, and Brecon Beacons National Park is less than an hour’s drive away. Located on the first service area at junction 23a of the M4.